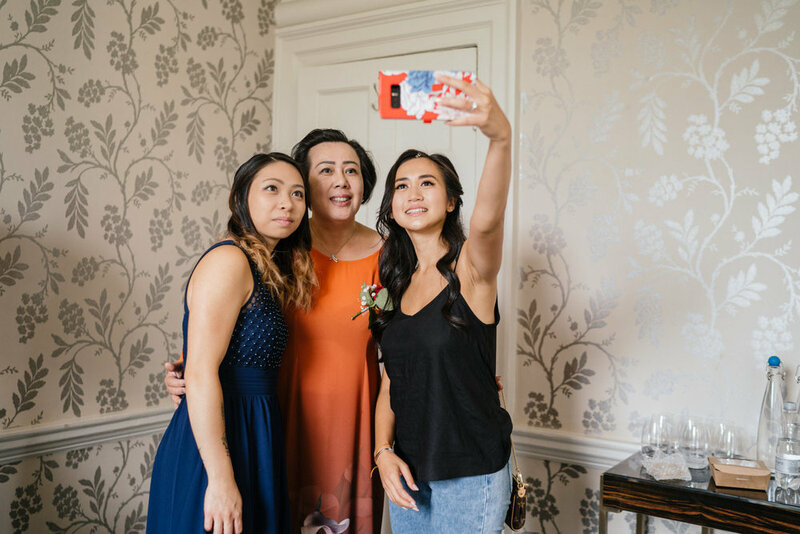 Thanh & Vincent chose to get married close to home at the gorgeous Morden Hall, which by the way, is in the heart of London. Being Somerset based ourselves, were used to a lot of countryside and this venue definitely wow’d us! Set in 125 acres of national trust land, slap bang in the middle of south London, I didn’t think this kind of venue could exist in such a built up area. The light and airy ‘18th century house’ made the perfect setting for their day. We started the day with a few Vietnamese traditions, which included some really entertaining door games! Shortly after we arrived at The Sacred Heart Church in Wimbledon where the couple sealed their marriage vows. 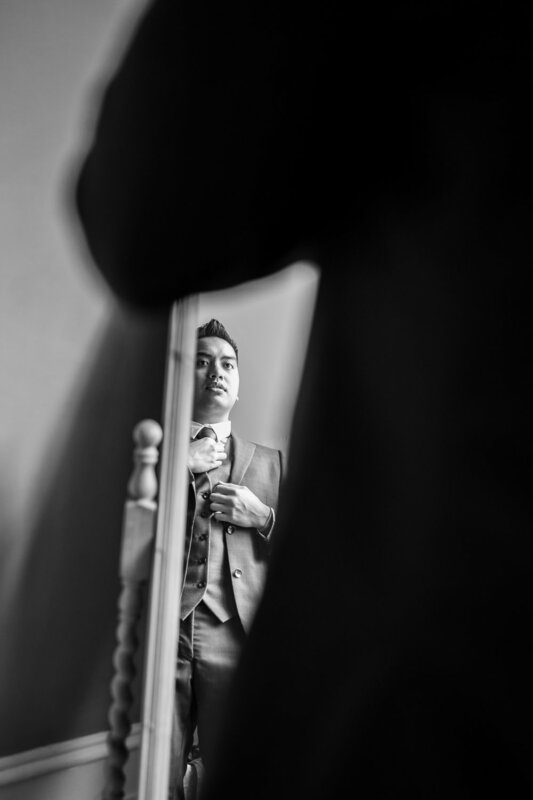 Thanh and Vincent met through a mutual friend on Chinese New Year in Soho. It was a week after that Thanh and her cousins saw Vincent by himself in the arcade, so along with her cousins, she approached him and asked him why he was by himself. He said "I'm waiting for my friends who are now two hours late”. They got talking and when his friends finally arrived, she said "What kind of BEEP friends are you to make your friend wait?". They all had a laugh and the guys went to play pool. She asked him if she could see his phone so he gave her his phone without hesitation or thinking "what if my phone gets stolen?" - she ran off upstairs with his phone. A few minutes later, she came back downstairs with his phone, handed his phone back to him and said "I put my phone number in your phone" and ran off. Over the year they got to know each other and officially got together a year later.” And 12 years later, here we are. Enjoy the film above and wedding photos below.